When sixth-grade teacher Shelly Alvarez steps into her Red Hawk Elementary classroom this fall, she likely will already know some of her students. 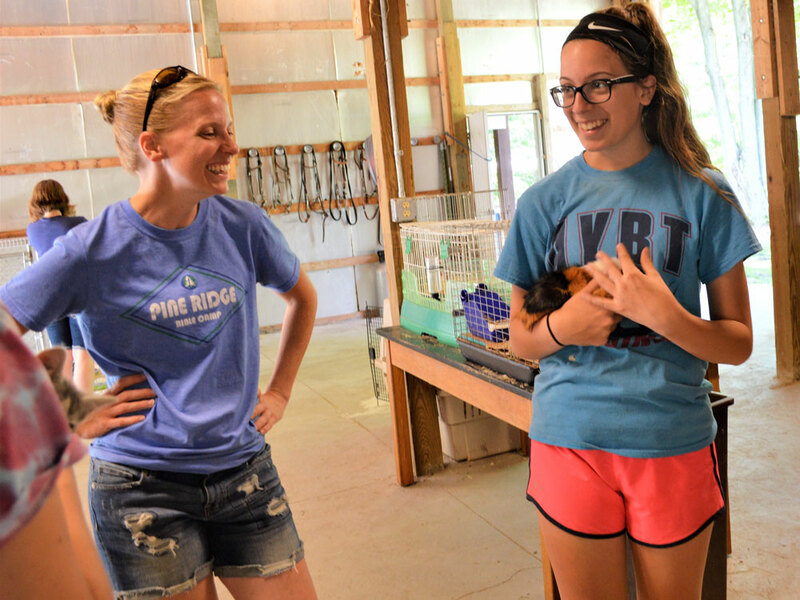 In her 12 years working with the district, she has taught kindergarten, first, second and fifth grades — and she’s been to summer camp with many of her students. Pine Ridge Bible Camp is just down the road from the school, and Alvarez, her husband and their four daughters live just a few miles from the 100-acre facility. 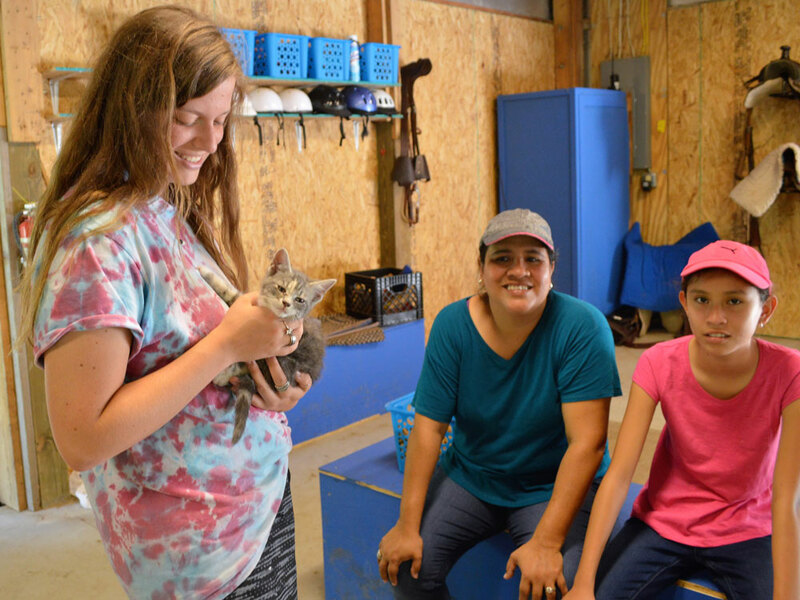 For the past four summers, the whole family has headed to camp, where Shelly is program director. Campers spend time outside hiking, swimming, playing games, riding and caring for horses as well as exploring nature. “It is such a pleasure to introduce them to all of nature and let them explore,” said Alvarez. Getting to know students outside the traditional school setting is another benefit for those who see her again when classes resume. “I love serving the kids — many of whom I have met or will meet at school. Camp is a great way to build positive relationships,” she explained. “I often meet kids here that really need someone else in their corner. The camp experience also reaps benefits for the Alvarez family, she said. Being together for activities such as competitive games, zip lining, hiking, horseback riding, and water sports is just one of the perks. The Alvarez children are learning how to serve as well, their mother said. Hope, who will be in seventh grade, can often be found helping out on the waterfront or in the kitchen. “If she sees something that needs to be done, she is there,” said Alvarez. Gloria Alvarez will be a sophomore at Cedar Springs High School in the fall. 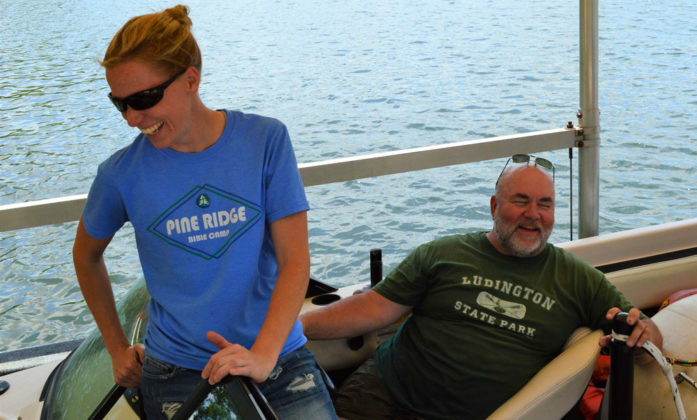 She spent four summers as a Pine Ridge camper before she started coming with her family. “Mostly I ran around and played, but helped when I could,” Gloria said of the first summer her mother came aboard. Now she is honing new life skills, including leadership and responsibility. 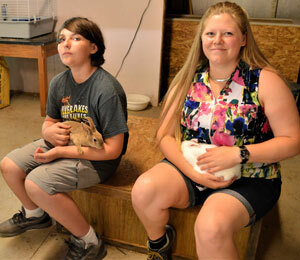 “I love animals, and this year they are letting me run the petting farm by myself,” she said. 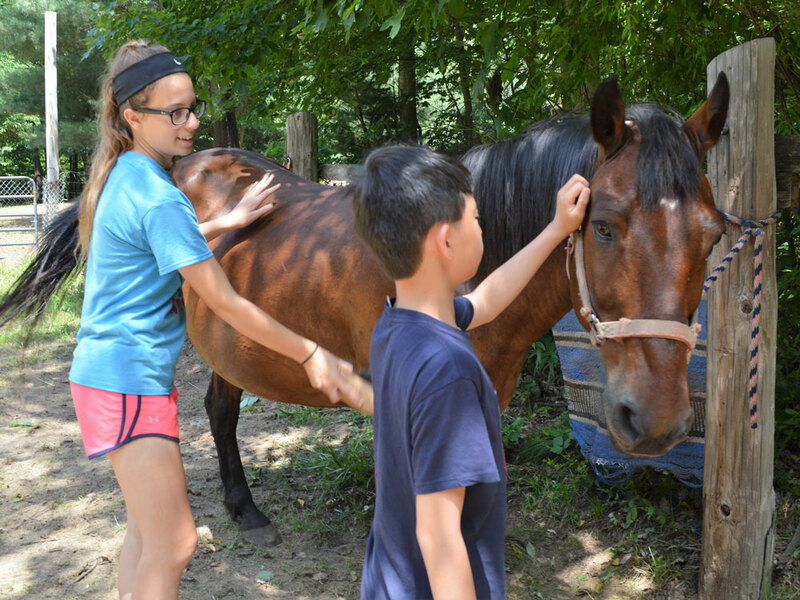 In addition to taking on responsibility for animal care and barn upkeep, she spends two to three hours every day introducing campers to the animals. She also helps with the Pine Ridge Horse Camp.